NEW PRODUCT – Adafruit 16-Channel 12-bit PWM/Servo Driver – I2C interface – PCA9685 « Adafruit Industries – Makers, hackers, artists, designers and engineers! 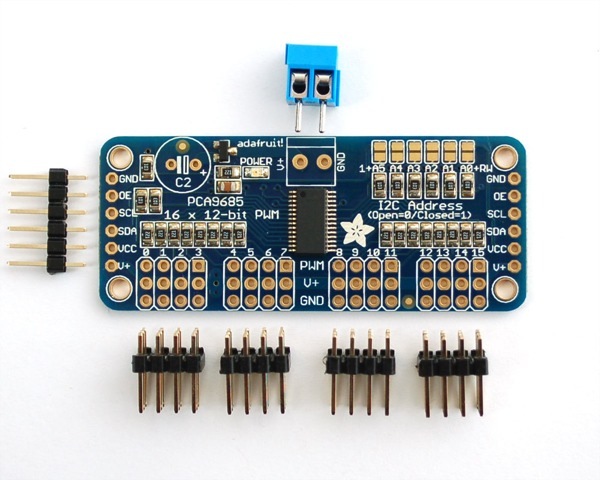 NEW PRODUCT – Adafruit 16-Channel 12-bit PWM/Servo Driver – I2C interface – PCA9685. 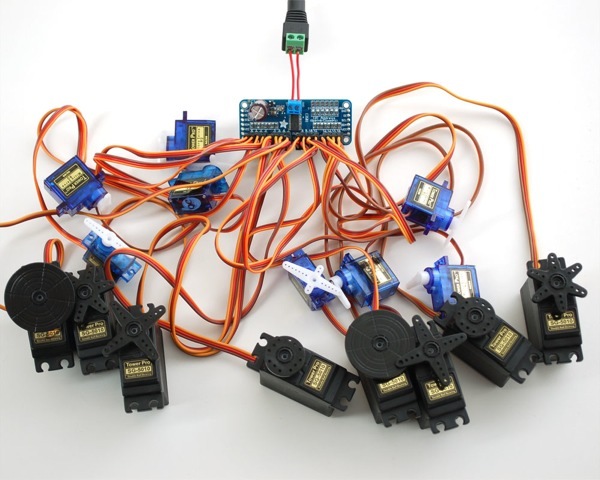 You want to make a cool robot, maybe a hexapod walker, or maybe just a piece of art with a lot of moving parts. Or maybe you want to drive a lot of LEDs with precise PWM output. Then you realize that your microcontroller has a limited number of PWM outputs! What now? You could give up OR you could just get this handy PWM and Servo driver breakout. would look nice on a Pi Plate!